1. 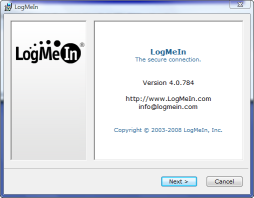 Go to https://secure.logmein.com/ and log in. 3. 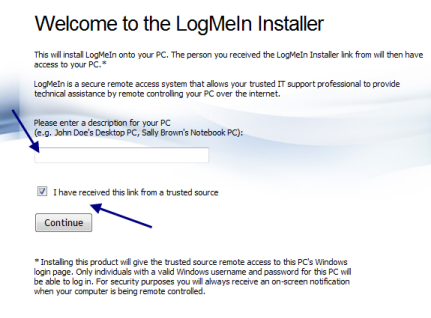 In the Installation Links page select the appropriate installation link. If the installation you want is not there contact your manager. 4. 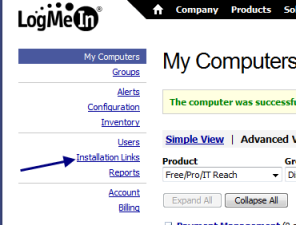 Copy and paste the installation link into a browser to open the installation page. 5. Read the instructions and write a name for the computer. Check the "I have received this link from a trusted source" box and hit the "Continue" button. 6. The program will be downloaded onto the computer. After it is downloaded follow the installation instructions. 7. Once it is done installing check the My Computers page to make sure the computer is listed.